ISLAMABAD, Pakistan - Pakistan’s military is better able to track down and capture terrorists along its lawless border with Afghanistan than U.S. forces, whose presence threatens to unite opposition factions into a cohesive anti-democratic coalition, Pakistan’s new president told NBC News in his first Western interview since taking office this month. Zardari, who is scheduled to meet Tuesday with President Bush in New York, said he was grateful for U.S. support in his campaign to succeed Gen. Pervez Musharraf in a democratic election. But he said now that Musharraf is gone, it was time for Washington to stand by its democratic principles and trust the new government to run its own affairs. 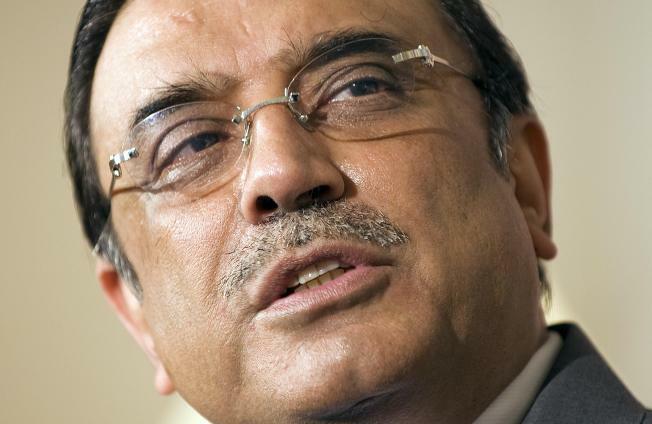 Zardari said the Pakistani military was well-equipped and experienced in conducting operations in the mountainous areas where U.S. officials insist that al-Qaida leader Osama bin Laden is hiding. All they need, he said, is information and logistical support. Signaling his willingness to face off with Bush over the critical issue, Zardari did not disavow a reported order issued to his military last week to open fire if U.S. troops launched another air or ground raid across the Afghan border. Zardari took office earlier this month for a five-year term after elections that followed the forced resignation of Musharraf, with whom U.S. officials had a contentious relationship. Despite his strong words for the United States, Zardari owes his election significantly to Washington. Derisively known as “Mr. 10 Percent” for longstanding allegations that he pocketed profits from numerous government contracts during his wife’s presidency, Zardari had faced corruption charges in Pakistan, Britain and Switzerland. But U.S. negotiators persuaded Pakistani authorities to drop them as part of the deal that allowed Bhutto to return to Pakistan from exile. At the same time, however, he said he would press Bush for more economic and material assistance for Pakistan, whose economy is faltering. “I want the world to understand that this is a signal from the terrorists,” he said. “They are challenging this democracy of Pakistan. They are challenging the people of Pakistan. They are challenging the world. By Alex Johnson of msnbc.com and Ann Curry of NBC News.